It all started in the middle of last year. I discovered two separate people that had decided to sell their collection of Debbie Mumm fabrics. (Surely you remember when those were all the rage!) Both of these people were just like the rest of us - they had moved on to the prettier fabrics of today. Both people knew they were never going to use these fabrics. Have you ever experienced a situation where you didn't need the fabric, but the fabric needed you?? Well, that's exactly what happened here. 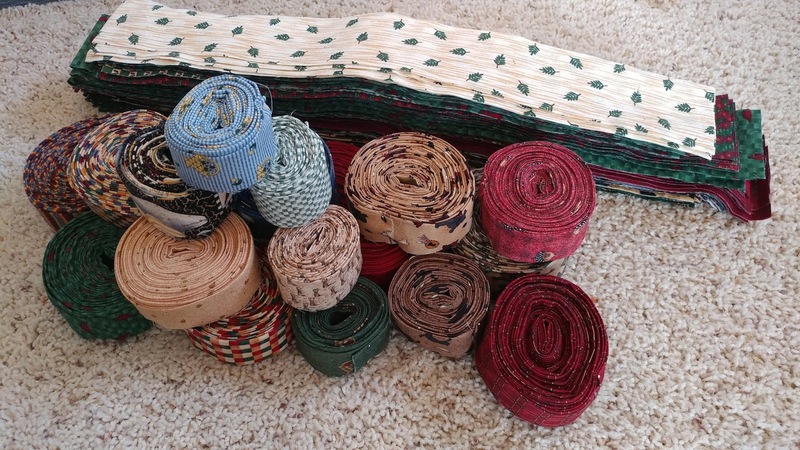 I purchased both lots of fabric, which ended up totaling over 100 yards!! I knew that I wanted to use all the fabric for charity quilts. So while waiting for the fabric to arrive, I searched for a pattern to use. 1. It needed to be a baby quilt. I wanted to focus my efforts on something that was important to me, so babies/new moms was the logical choice. 2. The pattern needed to be roughly 36"x40" so I could use a one-yard cut of fabric for the backing. 3. The pattern needed to look somewhat scrappy. All the fabrics were print fabrics. They would coordinate together, but I didn't want to use any additional yardage (for sashing or the background). 4. The pattern needed to be simple and quick. I especially wanted a pattern with no matching seams. It didn't take me long to realize The Road Trip Quilt by Cluck Cluck Sew was the perfect match for this project! I have used the pattern before (here and here), and it has everything I wanted for my charity quilt pattern! Once the fabrics arrived, I sorted, ironed, and cut them just as soon as they came in the door. I didn't want them sitting around for years being unused again! I kept a tally as I cut so I knew how many quilts I could make from what I had cut. When I had enough pieces cut for 50 baby quilts, I began cutting binding strips. 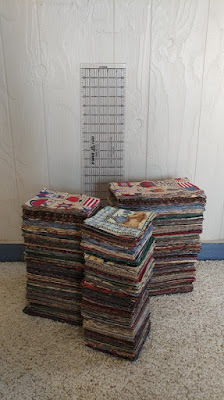 When I had enough binding strips made, I cut the largest yardage into one-yard cuts for backing. I even started sewing and ironing the binding so it would be prepared too! I put all the pieces in a storage tote to keep it organized. The most shocking part? 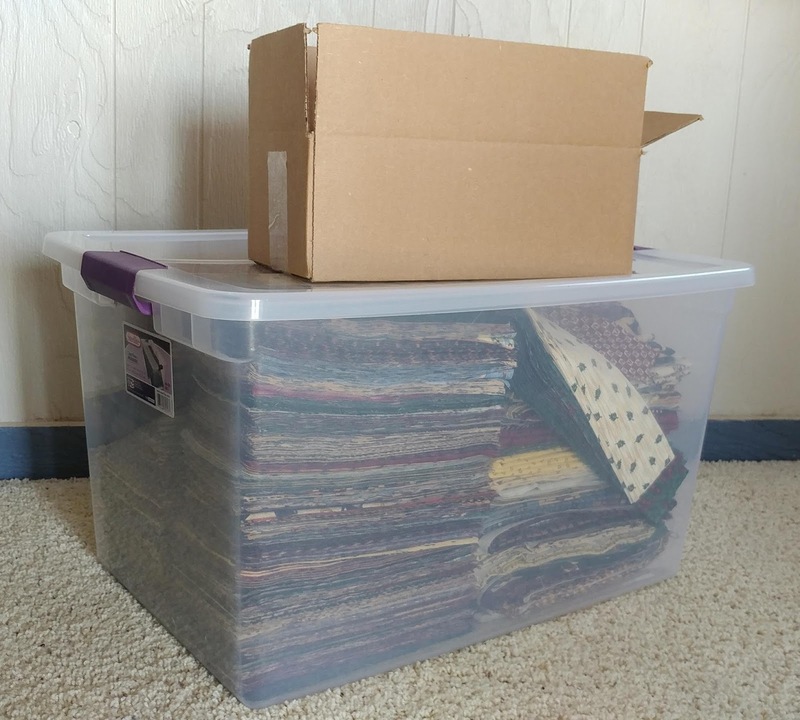 ALL of the fabric - all the cut pieces for the 50 quilt tops, all the binding strips, AND all 50 quilt backs - fit into ONE clear storage tote!! All the fabric needed for 50 quilts in one tote. A quick glance around my sewing room made me realize I have way more fabric than I would have guessed! So I decided 2018 would be the year to make all 50 of those charity quilts. And then I decided to name the project "52 charity quilts in 52 weeks." (I'm sure I can find enough fabric for two more quilts! Ha!) I still plan to make all my regular quilts too, these will just be made in-between projects. I've made three charity quilts this month. From first stitch to final stitch, they take right about 3 hours. That includes piecing the top, pin basting, free motion quilting, and binding! I'm challenging you to join me and craft for charity too! At the end of every month of 2018, I'll host a linky party where we can share our progress and encourage each other! Do you want to make baby quilts? 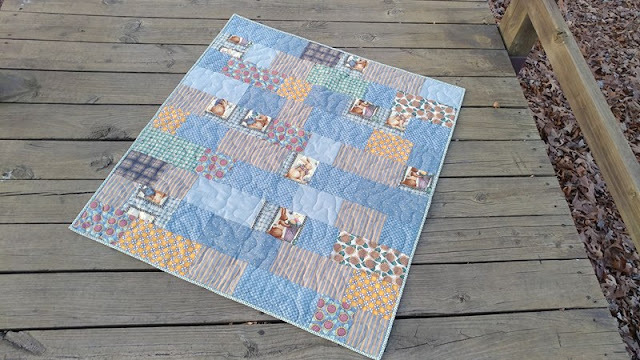 Quilts for preemie babies? 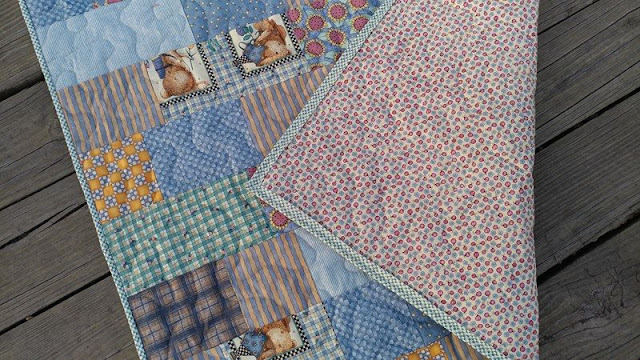 Quilts for hospice patients? Maybe pillowcases for the local nursing homes or surgery center? Or knit caps for cancer patients? 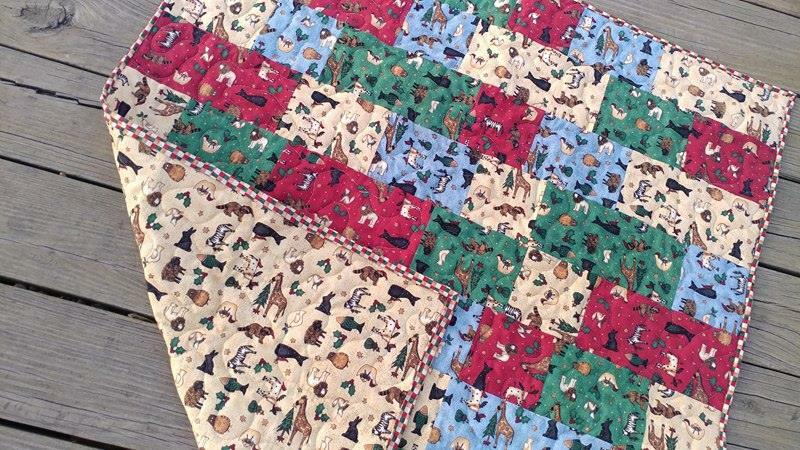 Maybe kennel quilts or cat beds for your local animal shelter? Or maybe you crochet and could crochet baby blankets or baby caps? Think about what "extra" materials you have on hand that you could use. Maybe some outdated fabrics that aren't really your style anymore, or maybe some mismatched fat quarters you won in a giveaway. Next, set a goal. Then up it. That's how I roll. There's a lot of talk about making the world a better place. And there's a lot of talk about the negativity in the world. But to quote the Once-ler from The Lorax by Dr. Seuss, "Unless someone like you cares a whole awful lot, nothing is going to get better. It's not." We can each change the world. One stitch at a time. What's your charity goal for the year? Link up a blog post telling your plan. Or share a blog post showing a quilt (or quilts!) that you've already made this month for charity! Then keep sewing! (It doesn't have to be quilts either!) Come back here next month to link up again! 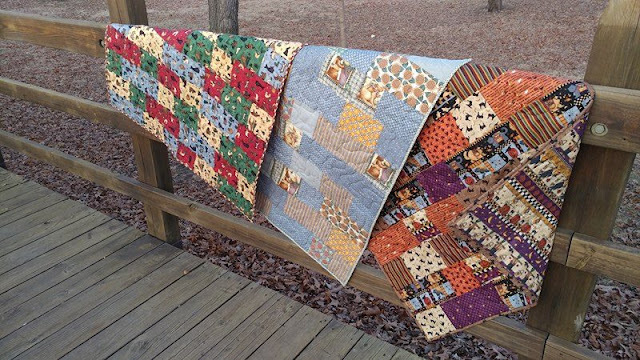 Nancy at Grace and Peace Quilting is joining in and set a goal of 52 quilts too! 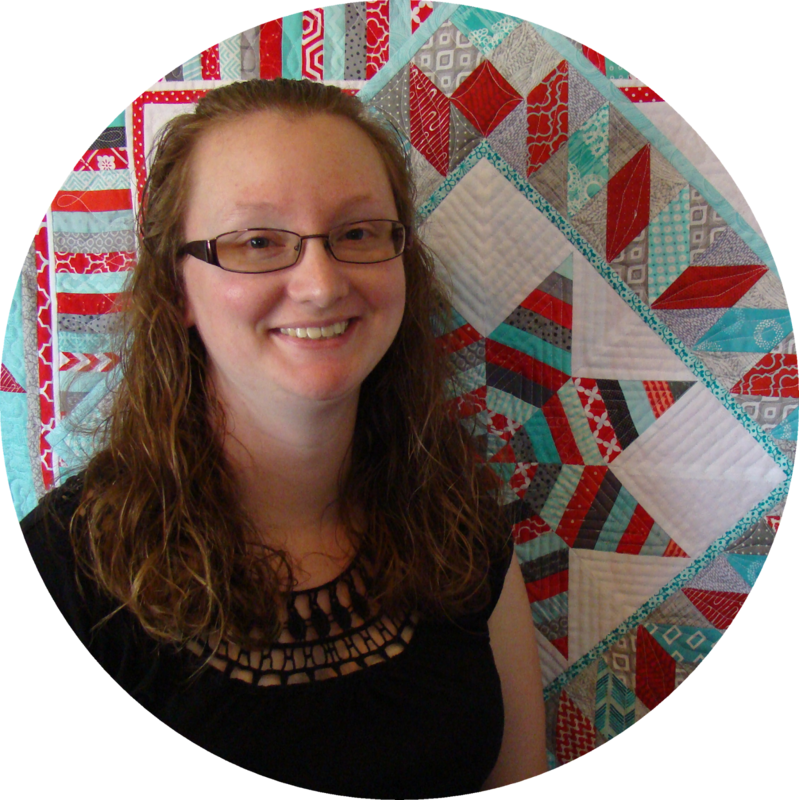 Amy Smart at Diary of a Quilter set her own charity sewing challenge for the year! If you make pillowcases, the One Million Pillowcase Challenge by All People Quilt is still going! This is so wonderful! My mom is in charge of the quilt ministry at the church where I grew up and I've spent a lot of time helping her sort squares for quilts! They make slightly larger quilts (I believe they do 60x80). Great way to organize this project and it totally works! I can see that you will be able to easily accomplish this! I am joining in, in a small way, and will have a few to contribute, but I like the idea of examining my stash is going from there! I have 30 pillowcases I completed this month to donate. The fleece blankets and flannel baby blankets are next. As soon as I take pics I will link up. When I read about your 100 yards, I thought that's a lot of fabric. But 30 pillowcases use 30 yards of fabric. The 13 double sided flannel blankets use 2-2.5 yards each and so that's 26 yards of fabric. It goes quickly. Last night I came across one of my all time favourite children’s story books and re-read it. The book is Miss Rumphius by Barbara Cooney. It won the American Book Award and is a perfect book to go with your project. I hope you can find a copy and will take a few moments to read it. — From a Canadian Librarian who loves to quilt!! Awesome idea! 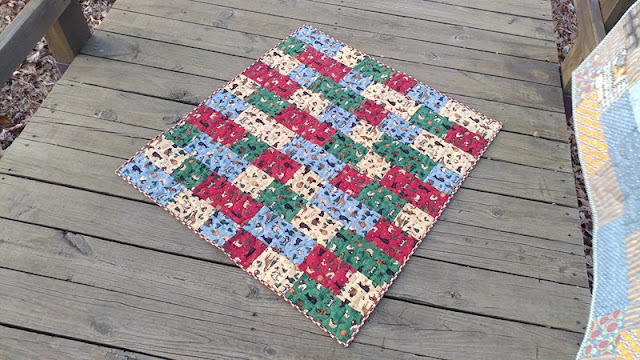 I knew you were doing 52 quilts in 52 weeks but I love that you added a community component. 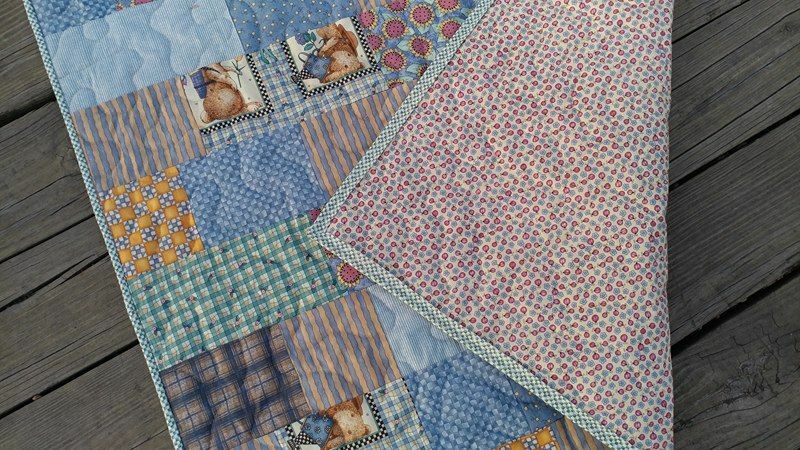 I have an annual goal of 12 quilts donated to my local Project Linus chapter. I'll write up a post and link up! Laura, fun to read all about your project! 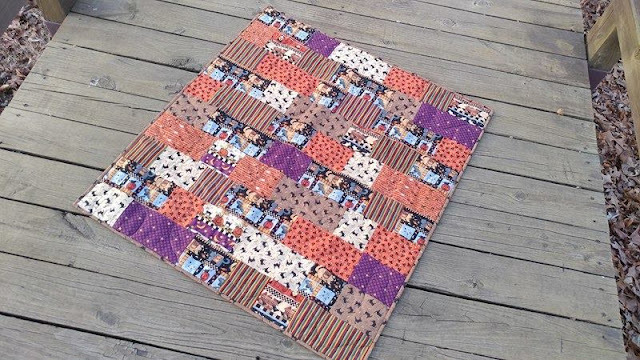 I still love Debbie Mumm fabrics and slip them into my scrap quilts when I can. I've made the Road Trip quilt pattern a few times, too. That is a great pattern to work with. Thanks for being the inspiration!!! This was a great post! Good luck on completing your 52 charity quilts in 52 weeks project. I think you'll be able to do it. I wish I would have had my camera with today at Charity Sewing so I could have posted a picture of what my AZ group does. We make over 200 quilts in a year and we thought that was a lot and we have many women working on them. My goal is 12 charity quilts in 12 months. That doesn't sound like a lot compared to your goal but it works for me! 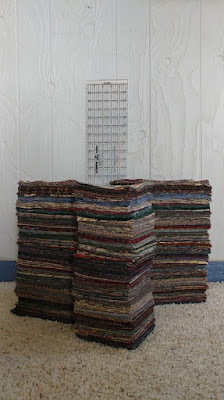 You are well organized and that is the key to sewing up fast quilts. I'l enjoy watching your progress. Happy stitching! I love how organized you made your project - doing all the cutting and making the binding ahead of time - and that it all fits into one tote! 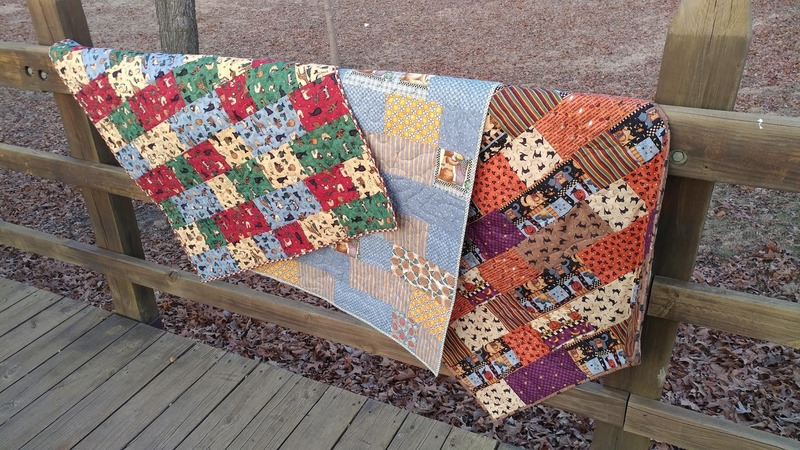 52 quilts in a year is a big goal, and I know you're going to reach it. When I first started reading my first thought was that I don't have any time. But after seeing how you organized everything, I realize that I do have time. Maybe not for 52 quilts, but for *something*. Thanks Laura! I love what you are doing, the last 2 years I gave away 31 quilts each yearof various sizes, great feeling! This year I won't have that much time, but hope to do a few at least. Hard to believe all that fabric fit in one tote!!! 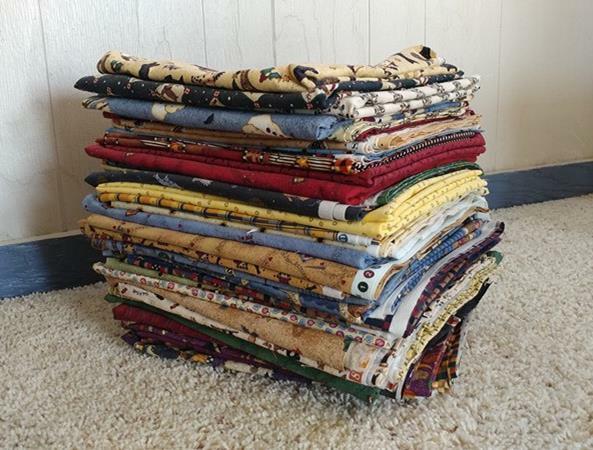 I think we'd all be amazed by how many quilts we could make from our stash. Last year I made 27 pillowcase dresses for a family member’s church group. Once you get started making projects for charity it can really take off, so thank you for reminding me of how rewarding it is. It is interesting to see how organised you are and the methods you have used to sort and store the fabrics. 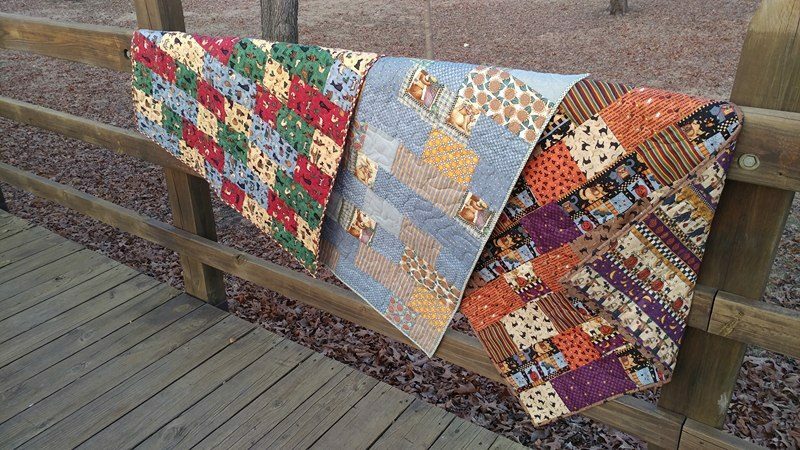 Great start with your 3 quilts. They will all be special. Fabric is so expensive so wonderful you can do this. I donate 12 a year and then I am in charge of our Guild pillowcase drive. Last year we made 434. I'm hoping we can better that this year. Anywhere I find fabric donations I go for it. Great organization and the finished quilts are just lovely. I was definitely curious about the details for your plan, and wow, I love the organization and that everything is prepped and ready for you to sew, Laura. You are awesome! You are so well-organized, Laura. 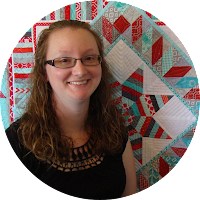 You should be a planner :-) 52 quilts in 52 weeks is a lofty goal and I am in awe of your dedication. 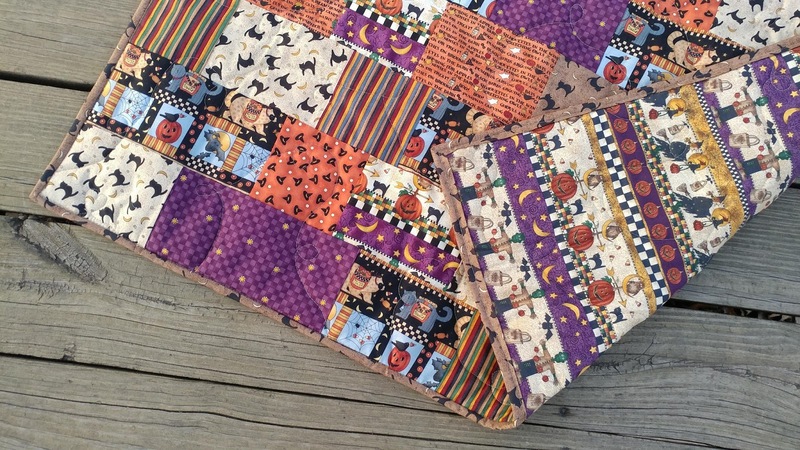 No, I do not have a goal for charity quilts. But when I come across a need, I respond as I can. I have donated in the past to the Stillborn Bereavement Group via Missouri Star Quilt Company's Forum. 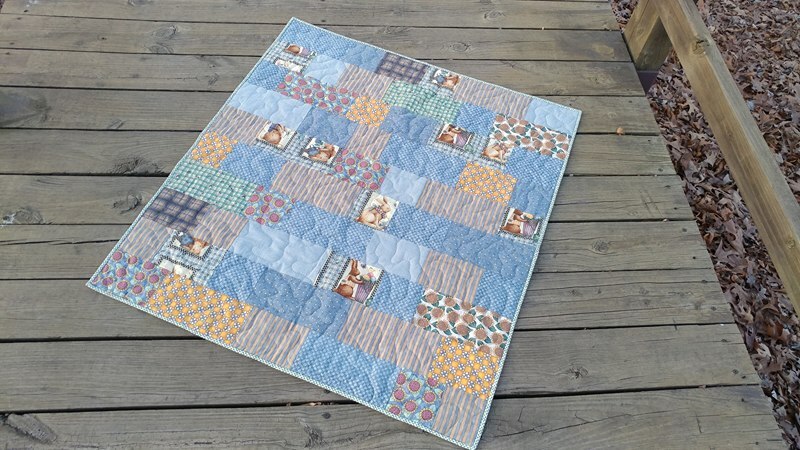 Sharing my Savanna quilt (for Thomas Fire relief) with your linky party. Thank you for all that you do. I make my quilts for the sexual assault domestic violence unit which is housed at our local hospital. We donate about 100 a year but that's a whole group of us. I love your goal and the organization is impressive! I can't believe you fit everything in one tote. I'll be happy to get all of the first responder quilts finished...then I'll be better able to think about what will come next :) Good luck with your 52! This is incredible! I love doing charity sewing, but my time is so limited right now. Hopefully after my husband finishes his 12 weeks in cardiac rehab. I've made Care bags for a domestic abuse shelter near here for a couple of years, and a few other things.